Tonight! 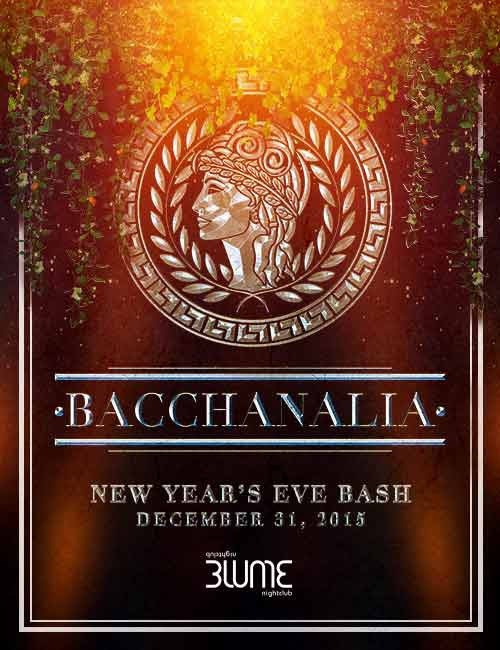 #NYE2016 Bacchanalia NYE Bash 2015 ~ Phresh Hott New! The new Blume Nightclub invites you to Bacchanalia, a special Roman-inspired New Year's Eve event celebrating all of the decadent pleasures in life. Bask under the glow of sparkling lights and ancient roman columns as mythical creatures, gods and goddesses emerge throughout the night. Featuring New Year's countdown, all night entertainment, Roman-inspired decor, party favors and premium bottle table service. Offering a modern and extensive nightlife experience by global hospitality company V&E Restaurant Group, the nightclub offers a fusion of high energy and chill atmospheres with its expansive indoor setting and idyllic outdoor terrace. For table reservations or more information, please contact 305.577.9811 or info@blumenightclub.com.